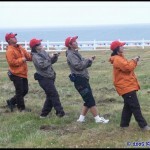 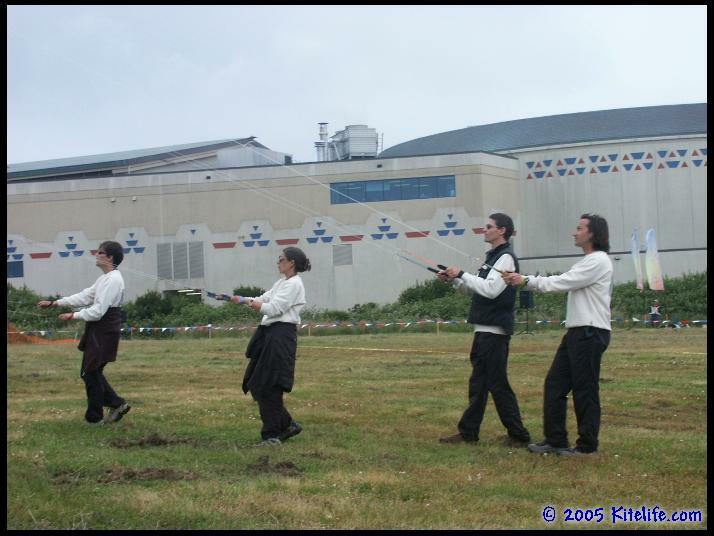 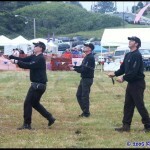 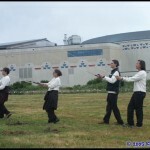 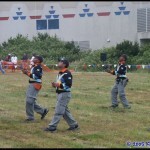 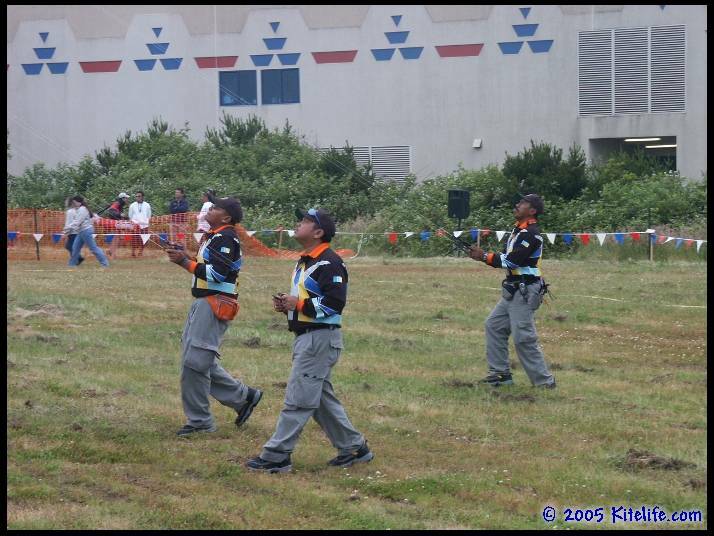 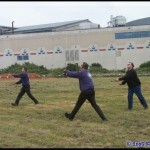 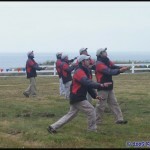 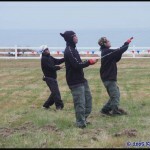 Today’s event kicked off with team warmups on the competition field from 9:00am to 12pm, with each team being given up to 2 minutes to move onto the field, then a full 10 minutes of practice, and up to 2 minutes to make their way off so the next team in order could move on and do their warmups… The only exception was Scratch Bunnies, as one of their members was still back at the room writing their ballet routine for Wednesday! 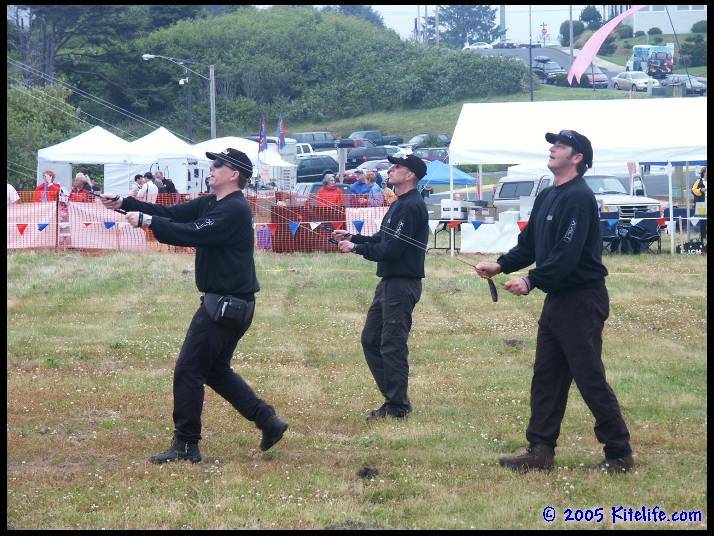 Following the practice sessions, the official opening ceremony was held… Long time AKA president David Gomberg welcomed fliers and spectators alike, followed by equally warm greetings and introductions from Lori Hollingsworth, Mayor of Lincoln City; Ginny Whiffen President of the Lincoln City Chamber of Commerce; and Todd Davidson (Ceo of the Oregon Tourism Commission). 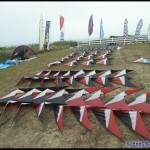 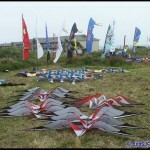 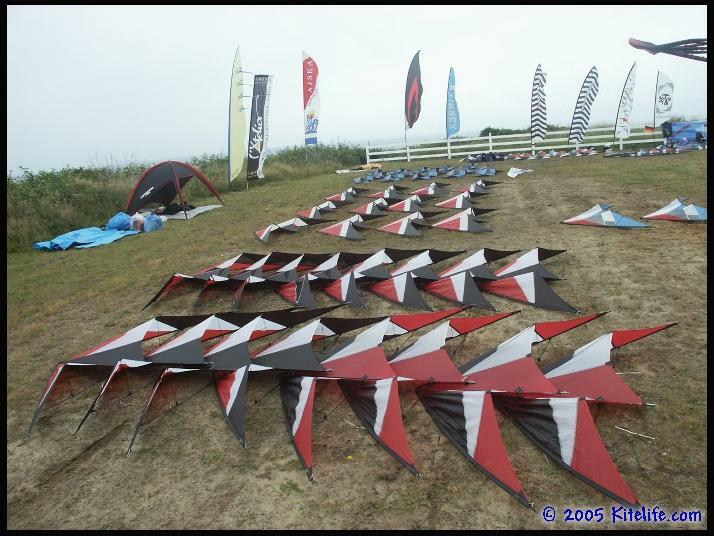 Also present at this years WSKC is a contingent from China, who are very interested in bringing sport kites to the mainstream in their country… Liu Zhiping and others will be bringing their experiences home, and potentially bringing their own team to WSKC in the near future, possibly even hosting kiting as a “demonstration” event in the Olympics. 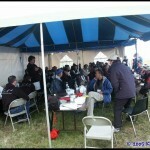 Once the opening ceremony came to a close, a 45 minute lunch recess was held to allow fliers time to eat and relax before ballet competition began at 1pm… Everything ran VERY smoothly, and seemed to cultivate a real professional environment, quite complimentary, befitting of a world class tournament. 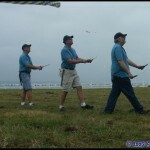 We managed to avoid the rain for most of the morning and very early afternoon, but it did stay a tad on the chilly side with overcast skies… The 3-6 mph winds did eventually bring in a light drizzle about half-way through the ballet competition, and later in the day, the light breezes climbed to 10-14 mph. 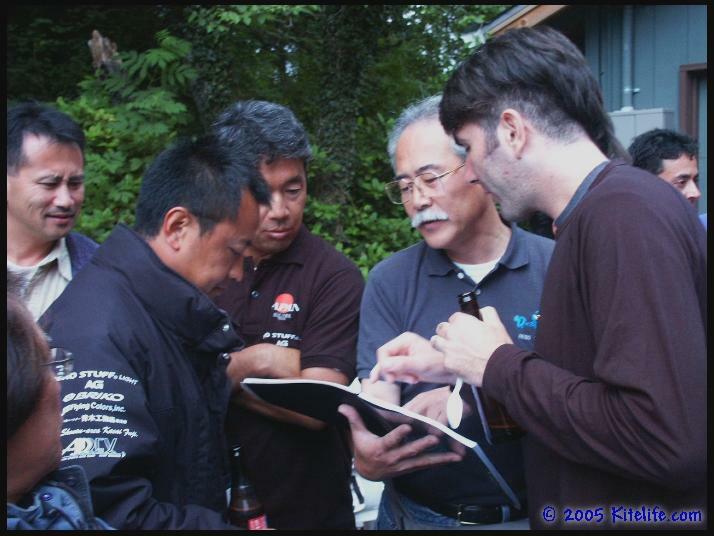 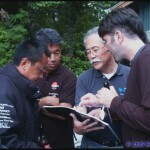 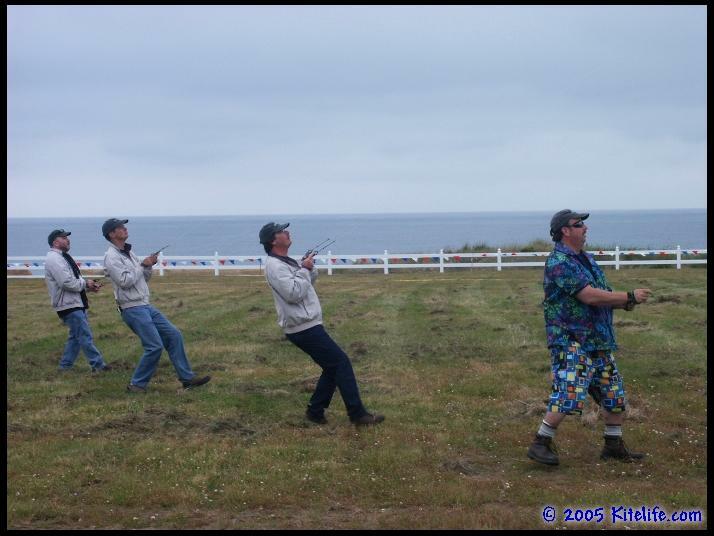 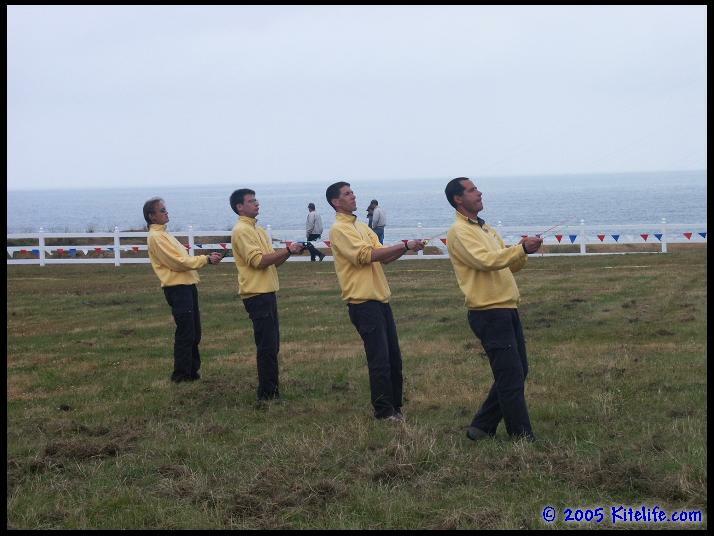 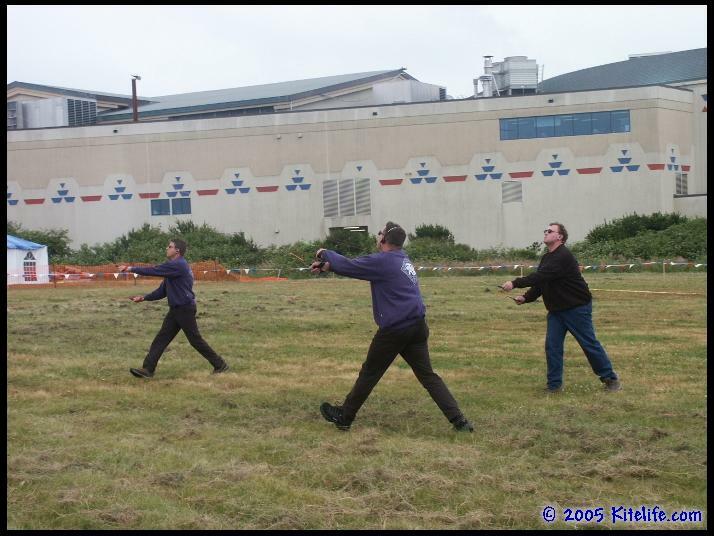 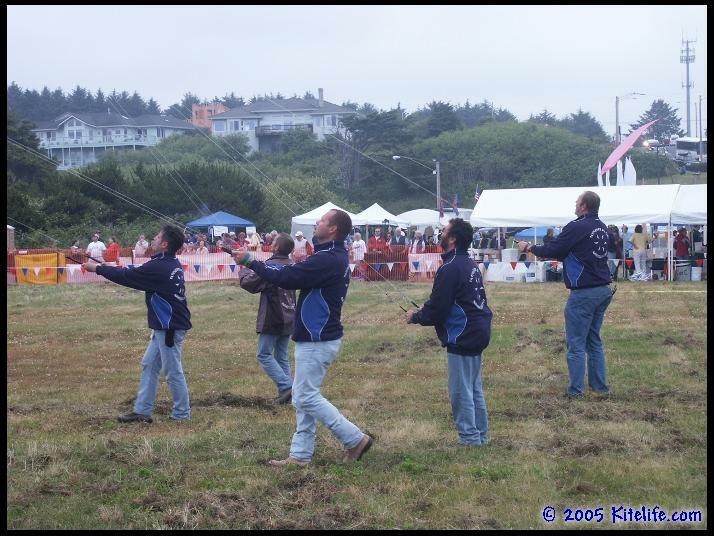 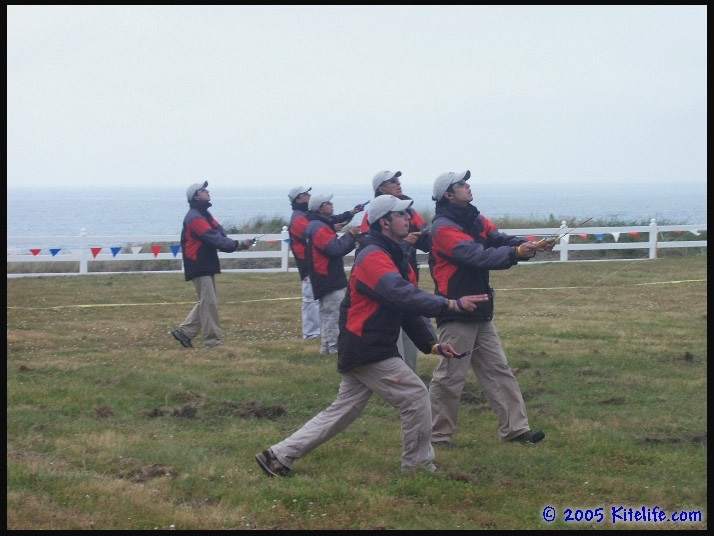 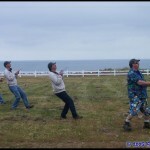 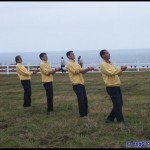 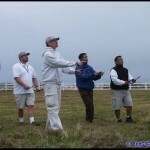 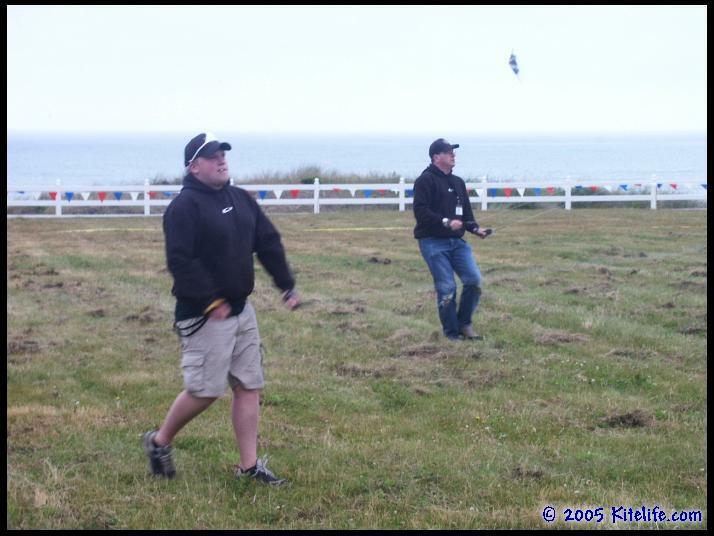 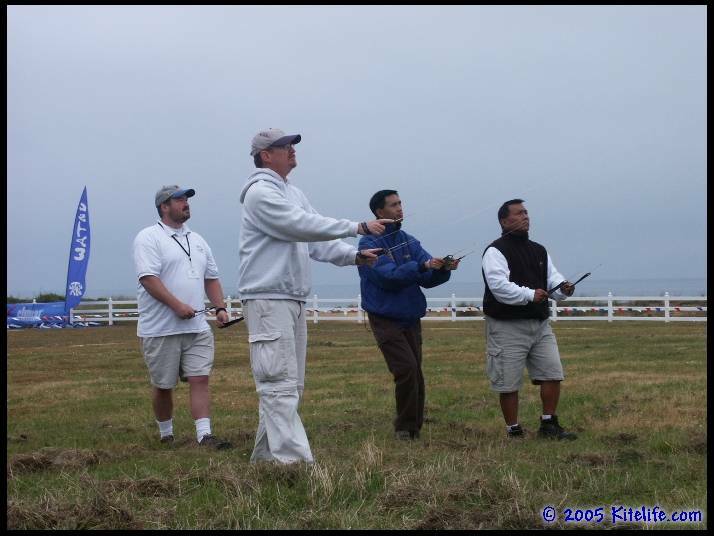 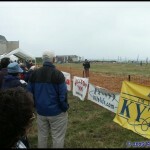 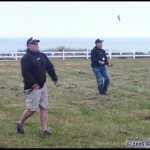 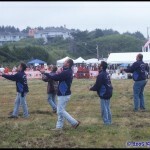 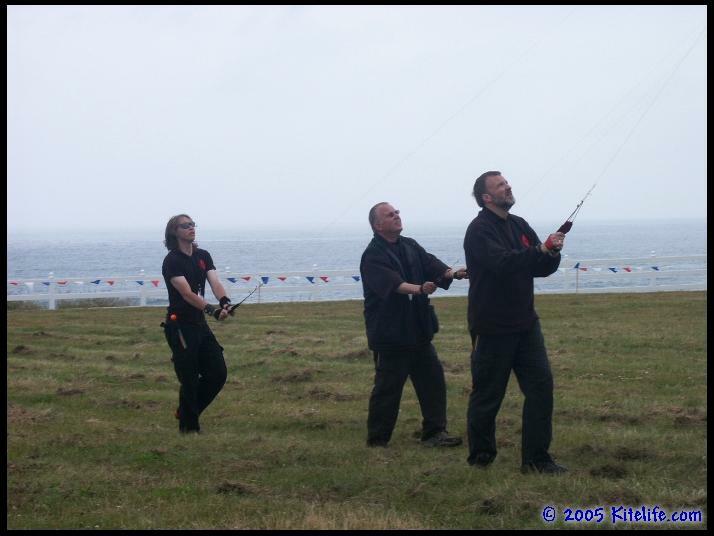 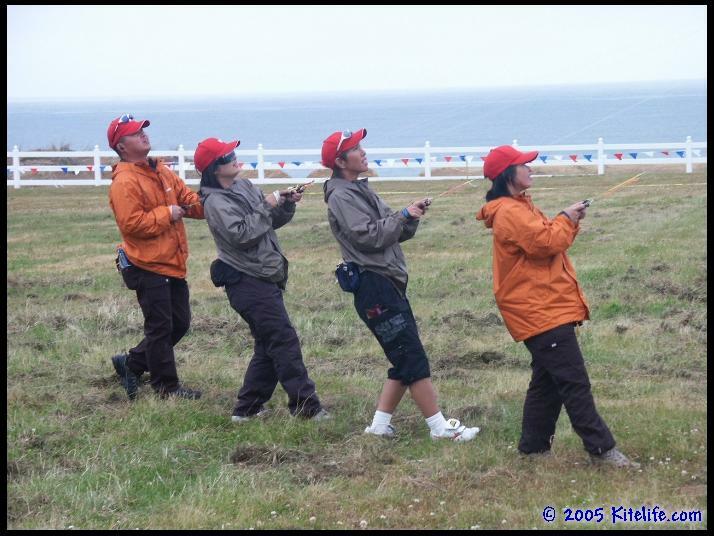 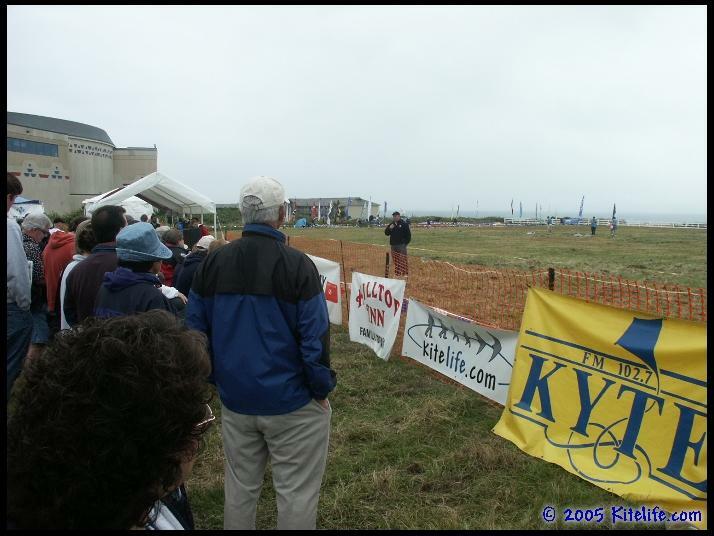 Teams were observed by an international judging panel composed of Mike Gillard (AKA), John Mitchell (STACK), Hideo Wakuzawa (AJSKA), Mike Huff (AKA), and Peter Fiedler (STACK), most of whom have spent considerable time judging in past world championships and have been very instrumental in developing sport kite competition and rules for their respective organizations. 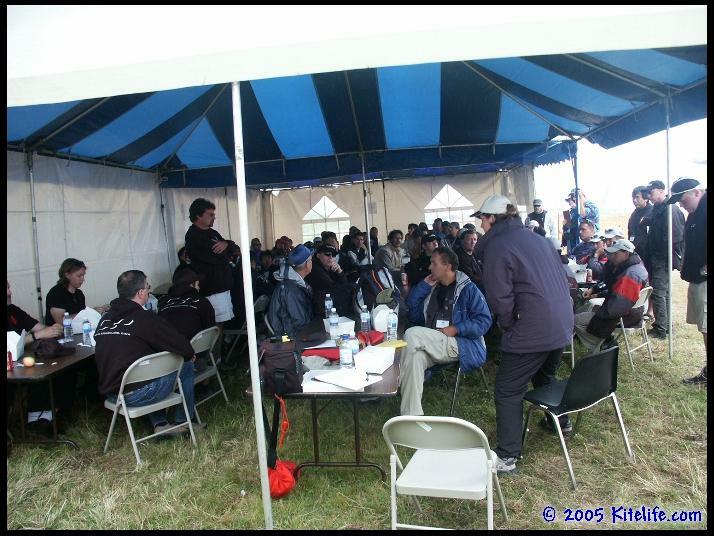 Our appreciation goes out to the following staff for being a part of this first day at WSKC… Susan Skinner (Event Coordinator), Teri Huff (Pit Boss), Kathy Jarvis (Field Director), Tracy Erzin (Scorekeeper), Jeff Erzin (Sound) and Bob Wendt (Announcer). 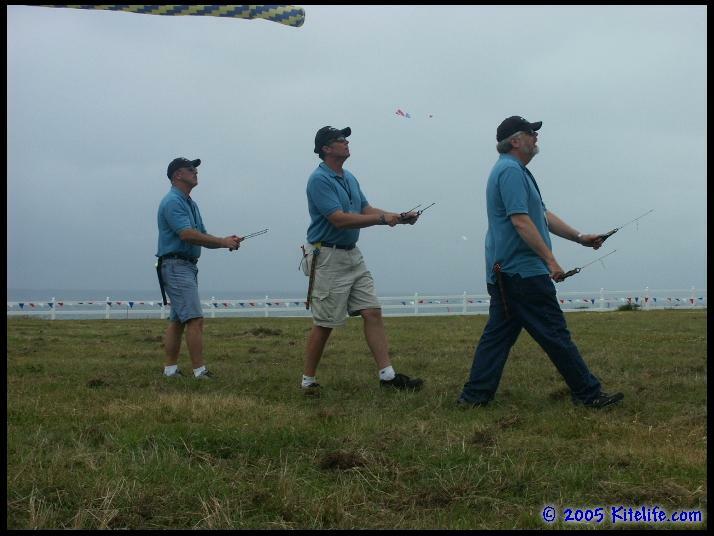 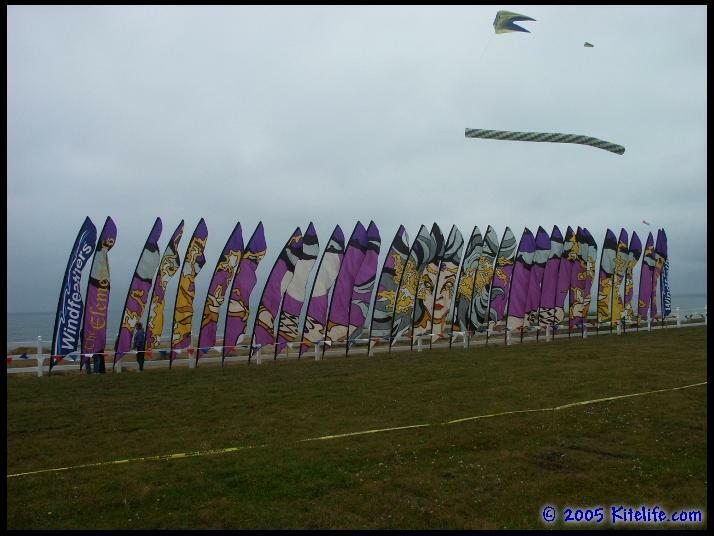 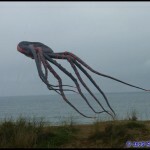 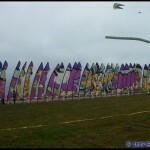 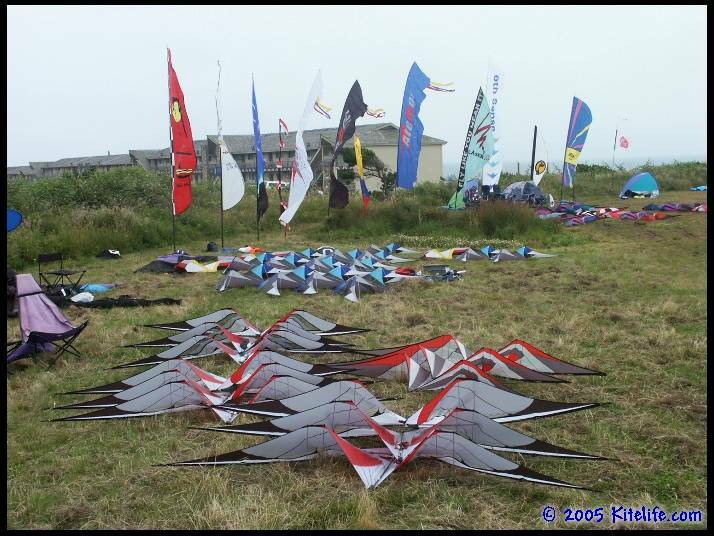 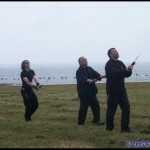 In addition to the sport kite competition, there was also a single line display up all day on the beach below the bluff… Pete Dolphin, Al Sparling and Deb Lenzen lofted their beautiful kites into the sky, bringing them roughly eye level with the competition field above. 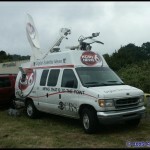 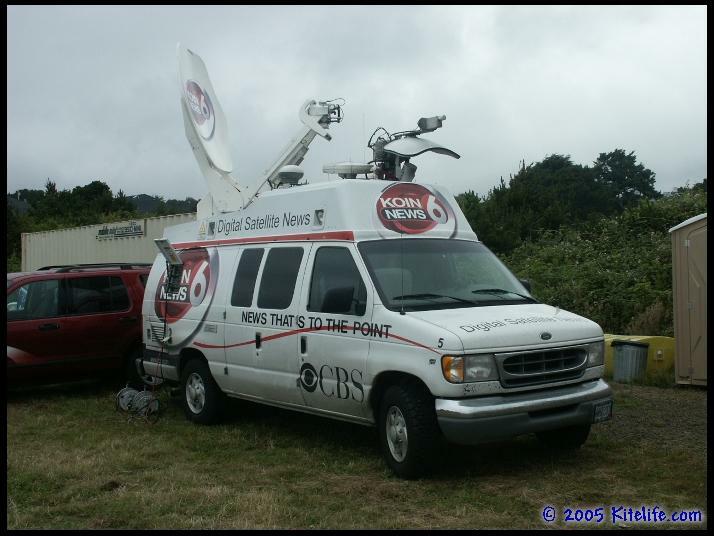 The media also had a strong presence with KOIN TV from Portland, Kyte FM and The Oregonian newspaper from Portland… The WSKC organizers really went out of their way to use this opportunity for exposing the general public to our exciting sport. 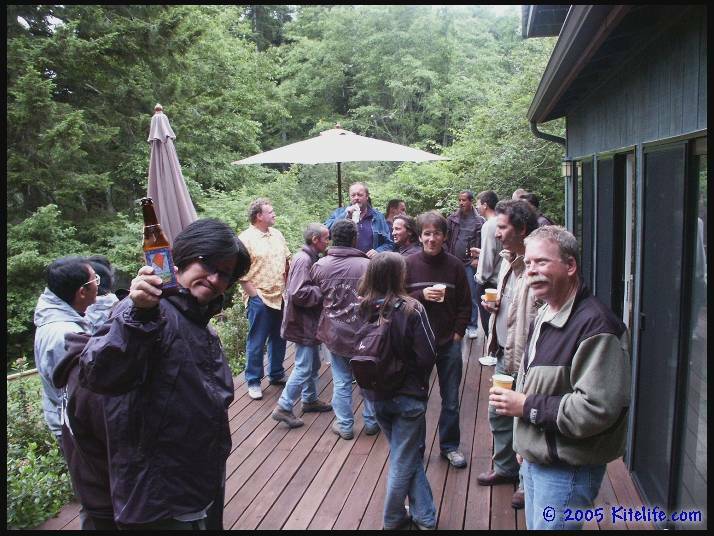 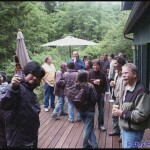 The evening closed with a party at David and Susan Gomberg’s nearby home where they treated nearly 100 people to a Thai dinner, refreshments and cake… Needless to say, with so many team fliers from so many different countries, it was an absolute blast. 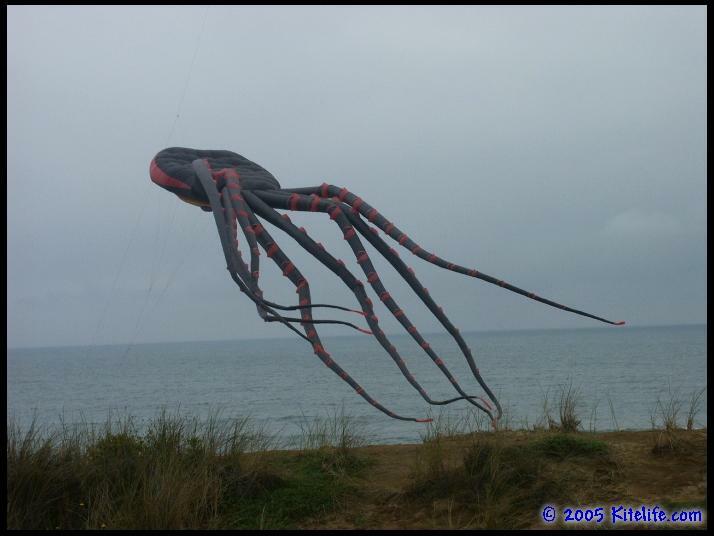 Well, it’s just after midnight and we’ve got another early day tomorrow… Thanks for reading, we’ll catch you here for the next edition!